links to ports and intermodal operations are the focus of National Land Freight Strategy released today. The Infrastructure Australia (AI) initiative will now seek to create an integrated national network, better use of existing infrastructure and new financing arrangements, the organisation says. "Infrastructure Australia believes that the most practical approach for action at this time is to concentrate national policy efforts on ‘places of freight’ – that is, major freight generators and the most intense freight flows,"
AI says in its National Land Freight Strategy Update document. In Tasmania: to more widely introduce the higher productivity vehicles necessary to reduce costs to the local businesses that trade with the mainland and internationally. 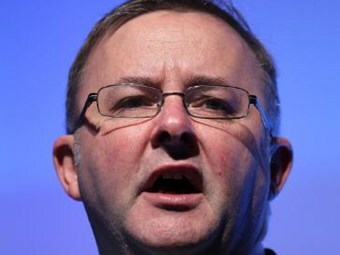 "In the globalised world of the 21st Century, the prices consumers pay, the profits businesses make and the export income Australia earns will more than ever depend on having better, less congested roads, faster, more reliable railways and modern, efficient sea and air ports," federal Infrastructure and Transport Minister Anthony Albanese (pictured) says. The Strategy gained immediate support from industry representative groups, with both the Australian Trucking Association (ATA) and the Australian Logistics Council (ALC) welcoming the productivity and safety aspect. ATA CEO Stuart St Clair says increasing the use of high productivity vehicles would enable the trucking industry to use freight routes more efficiently and reduce the need for new infrastructure. ... by using 20 B-triples you would emit 32 percent less carbon dioxide than the 42 semitrailers you would otherwise need," St Clair says. "The Government’s strategy is a win for productivity, a win for safety – and a win for the environment as well." ALC Managing Director Michael Kilgariff backs the AI’s ‘places of freight’ formulation and the need to ensure there is a more coordinated approach to maximise performance and safety. "The challenge before federal, state and local governments will be to follow through on the report’s high level recommendations and to start delivering real, on the ground, change to improve supply chain efficiency which is critical to increasing productivity," Kilgariff says. He believes that the work to be undertaken by the Heavy Vehicle Charging and Investment Reform "will take on added importance now the national strategy has been released". "In addition to the National Land Freight Strategy and the National Port Strategy recently signed off by COAG, NSW, Victoria and WA are also currently developing freight strategies," Kilgariff adds. "The challenge for all levels of government will be to ensure these plans go beyond aspirations and are delivered. "Furthermore, it is imperative that these strategies are not inconsistent with the National Land Freight Strategy and take into account its observations and recommendations."